From time to time, we can simply feel stuck. In planning what to teach or practice, we run through a variety of sequences, intentions, and peak poses, and end up rejecting them all. Too yang. Just did it. Too yin. Not enough space. 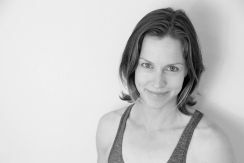 Even with hundreds of poses and a multitude of yoga styles from which to garner inspiration, we can still come up short on ideas for what to practice or teach. And while we know that yoga class is not intended to be a potpourri of innovation, we do like to keep things fresh—for our regulars, and for ourselves. One sure-fire way to break the creative block is to get creative…with a block! The yoga block is often taken for granted or even neglected in favor of newer, more exciting props, like yoga wheels. But the block is a great tool because it’s inexpensive, doesn’t take up much space, and is incredibly versatile. Maybe it’s not as Instagram-worthy as a cool new aerial yoga sling, but that doesn’t mean it can’t be your go-to. Beyond using a yoga block to raise the floor or support limbs in space, what can we do with it? Here are four great ways to use a yoga block that will bring fresh thinking and lightheartedness to your practice or your teaching. 1. 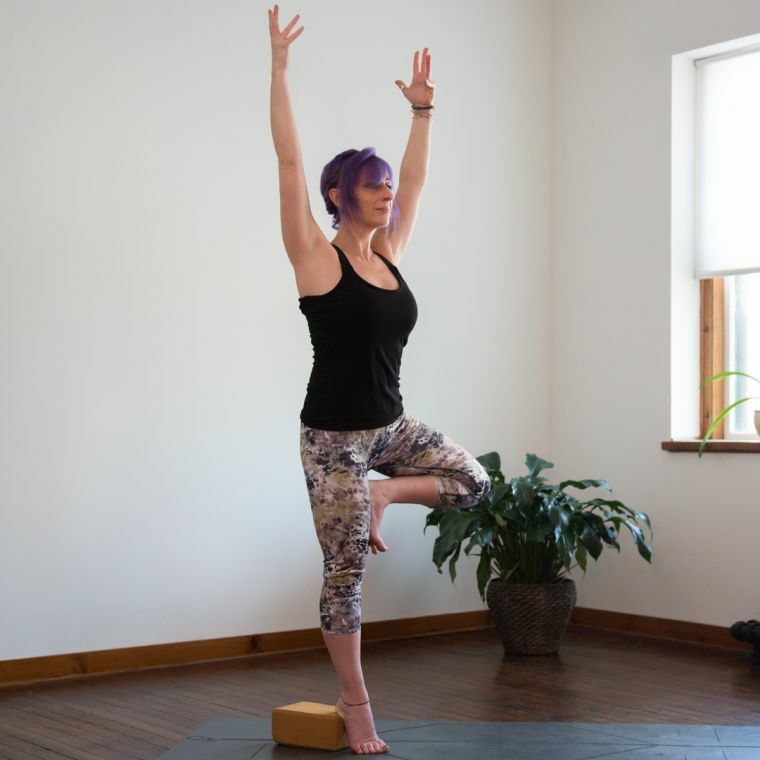 Stand on a yoga block in tree pose. While standing in tree pose, place a block at its lowest setting under the heel of the foot of your standing leg, and press the ball of the foot down into the floor. Voila! Tree pose becomes super challenging! Not only are the calf muscles working overtime, but the increased instability makes balance more of a challenge. This modification also trains the ankle to deal with instability. So, with practice, you may find that you recover faster from a turned ankle. 2. 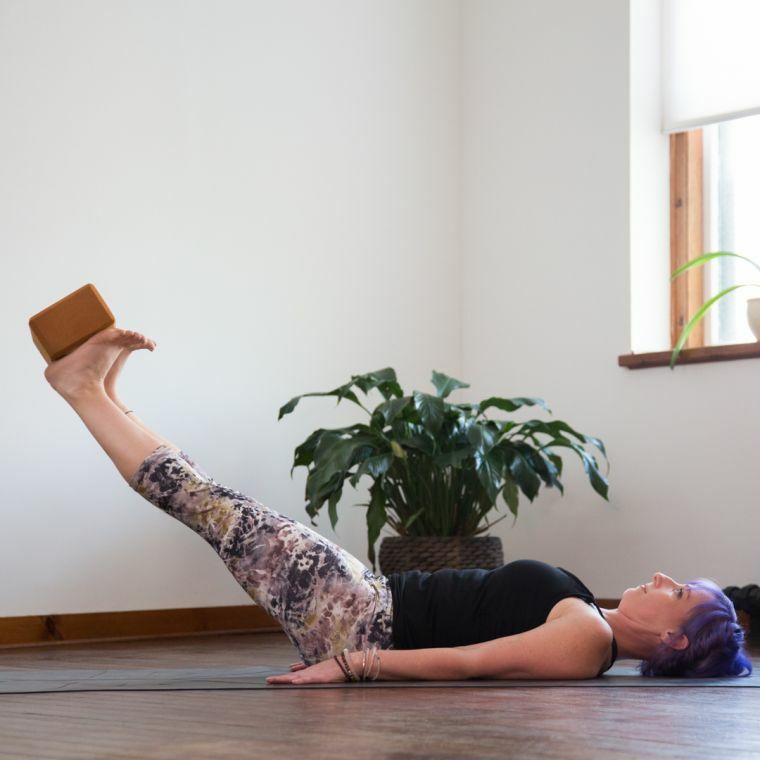 Balance a yoga block on the soles of the feet for plow pose prep. Lie on your back with legs extended at a 90-degree angle, arms resting at your sides. Flex your ankles, and bend your knees enough that you can place a block at its lowest setting on the soles of your feet. With the block in place, extend your legs toward the ceiling. Keeping your ankles flexed and your legs straight, use your legs and core to lower your feet toward the floor until your legs are at about a 45-degree angle (or you feel the block about to slip off). Then raise your legs back up to 90 degrees and keep moving them toward your face as if you’re going into plow pose—again stopping before you feel the block slip off. This keeps core work fun and brings awareness to maintaining dorsiflexion in the ankles. It also encourages a playful mood when that block drops for the first time (to be followed by many more drops!). Repeat five times, or until everyone in class has dropped a block. On that note, you’ll want to use foam blocks for this particular variation—getting a wood or cork block in the face is no fun. 3. Build a support for headstand. This support may be appropriate for those who want to experience some of the feelings and benefits of headstand, but without bearing weight through the head and neck—a ”headless” headstand, if you will. It’s also a great option for anyone who wants a little extra support in a traditional headstand and an excellent tool for learning how to move your feet away from the wall in an inversion. You’ll need three blocks for this. Place one block upright at its tallest setting slightly less than a block length away from the wall. Stack two blocks at their lowest setting on top of each other, and place the block stack horizontally on top of the upright block, with the end of the stack flush against the wall (forming an upside-down L). To come into supported headstand or headless headstand, come onto your forearms and knees, facing the wall, and interlace your fingers around the bottom of the bottom block at its base. Keep your shoulders stacked right above your elbows. Root down through your forearms, pressing down firmly on the pinky side of the interlaced hands. Tuck your toes under, and lift your knees as you would to come into dolphin pose. Walk your feet forward until your upper back is lightly supported by the top two blocks. The back of the head lightly touches the bottom block, while the crown of the head rests lightly on the floor for a supported headstand, or hovers just off of it for a supported headless headstand. This support alone can sometimes make the difference between a practitioner managing an inversion or not. Press very firmly into the floor with the forearms so that if the head is resting on the floor, very little (if any) pressure is on the head. Next, lift one leg and float up, bringing the second leg to join, with legs together, toes active, and both heels against the wall. Gently draw the bottom block toward you, keeping the downward pressure in the forearms. You may find that with this support, the feet can move away from the wall, though it’s also fine for them to remain against the wall. 4. Trap a yoga block between the elbow and thigh for core work. Lie on your back with your legs extended, bending your left knee and drawing it toward your chest. Lift your head, neck, and shoulders off the mat. Place a block lengthwise between your left quadriceps (the front of your thigh) and left elbow, applying pressure to keep the block firmly wedged there. Raise your right leg an inch or two off the floor. On an inhale, reach the right arm overhead, stretching the fingertips and toes away from each other and lengthening down your entire right side. On an exhale, bend your right knee toward your chest, and bring your right elbow to meet it. Keep squeezing the block between the left elbow and knee. Repeat 10 times, and then switch sides.